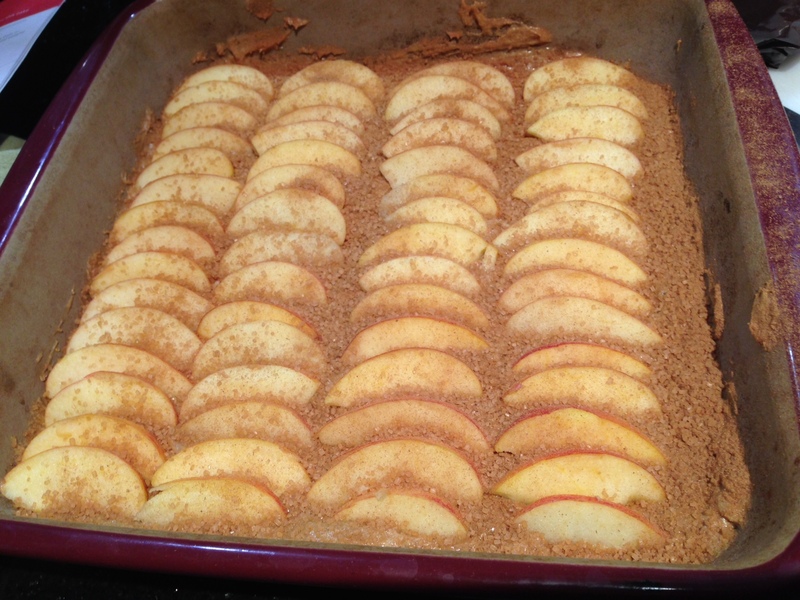 Apple Cake ready for the oven. This recipe is a fabulous winter warmer pudding. Perfect with custard (in my opinion!) and so easy to make my daughter made it for us! Preheat oven to 190ºC/fan 170ºC/Gas 5. Finely zest lemon using Microplane® Adjustable Fine Grater to measure half teaspoon zest. Cut lemon in half and squeeze juice into (250-ml) Prep Bowl to measure 2 tablespoons juice. Lightly whisk eggs in (500-ml) Easy Read Measuring Cup using Stainless Whisk; set aside. In Classic Batter Bowl, mix together butter, dark brown sugar, mixed spice, lemon zest, lemon juice and half teaspoon of cinnamon using Small Mix ‘N Scraper®, until well combined. 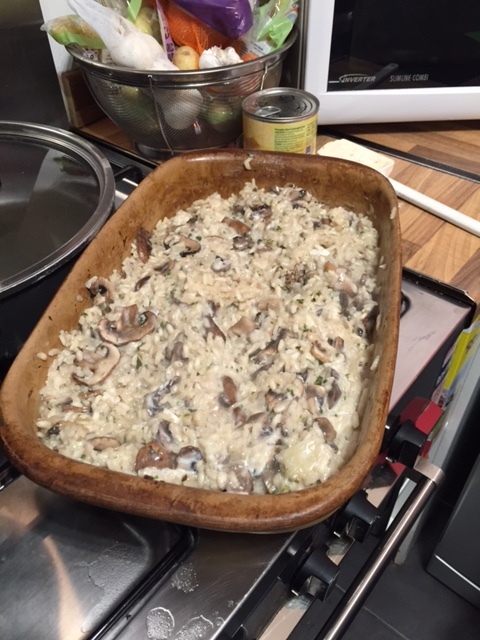 Gradually add small quantities of egg, then flour, to the butter mixture, mixing each addition until well combined. Spoon cake mixture into Square Baker; level mixture and set aside. On Cutting Board, cut unpeeled apples into quarters using Forged Cutlery Utility Knife. Cut away cores; discard. 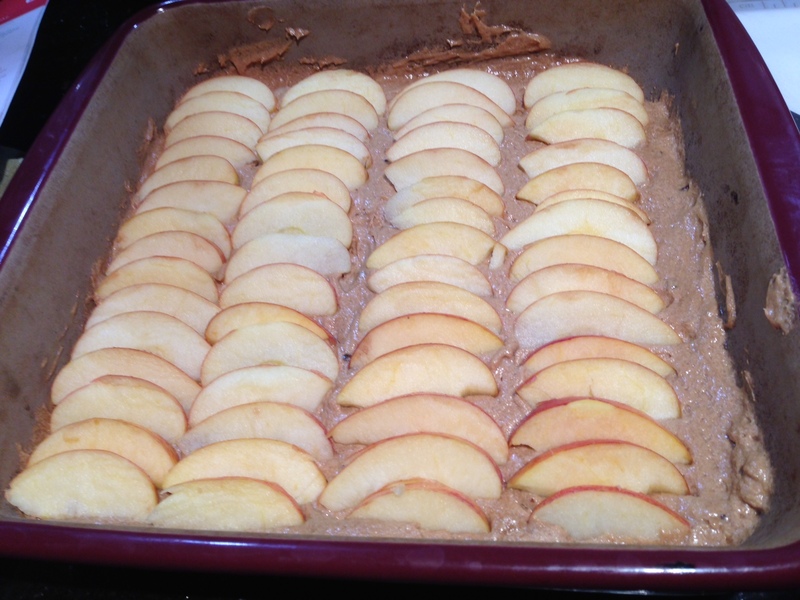 Thinly slice apple quarters and arrange apple slices, overlapping slightly, in three straight lines on top of cake mixture. Mix demerara sugar and remaining cinnamon together in clean Prep Bowl. Sprinkle evenly over top of apple slices. Bake 40 – 45 minutes or until the tip of a sharp knife comes out clean from the centre of the cake. Cut cake into portions and serve using Mini-Serving Spatula. 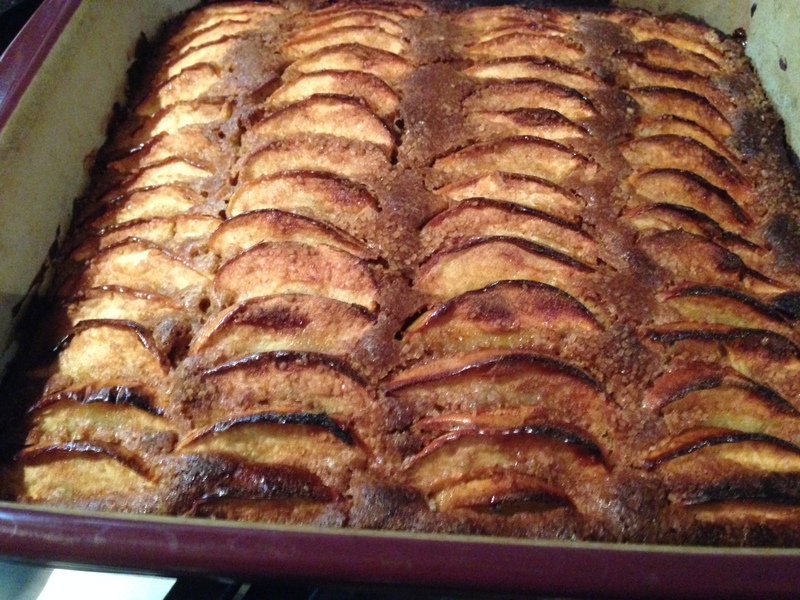 Scrumptious steaming hot apple cake, ready for eating! Cook’s Tip: Serve this quick and easy cake warm with custard or whipped cream for a delicious winter pudding. Alternatively, serve cold with morning coffee or afternoon tea. Use Adjustable Measuring Spoons to accurately measure the spices, lemon zest and juice. Substitute the lemon zest and juice with orange zest and juice, if desired.